The Greater New York Chapter extends its thoughts and prayers to everyone in Alabama and throughout the South affected by the devasting tornadoes on April 27. - Submit a donation directly to the Red Cross' West Alabama Chapter by clicking here. The West Alabama Chapter is also coordinating shelter and relief efforts through its Twitter account: @bamaredcross. 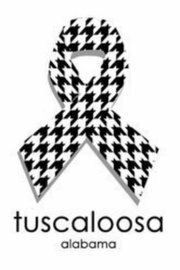 The University of Alabama Acts of Kindness Fund has been established to support an emergency-assistance program for the University employees and students. More information on UA’s tornado relief efforts may be found by clicking here. In the coming days, volunteers will be required to have credentials in order to access the affected areas. This will allow volunteer resources to be adequately and efficiently dispersed based on need. To register to volunteer as an individual or for a church or agency, call (205) 248-5045.